I’m at Woden Jr. High today (That’s pronounced Whoa-dun) with librarian Susan Harrison. A small country school with a bit over 100 students. It’s great fun, and a luxury, to speak to small groups like this. The students were enthusiastic, polite, and had great questions. 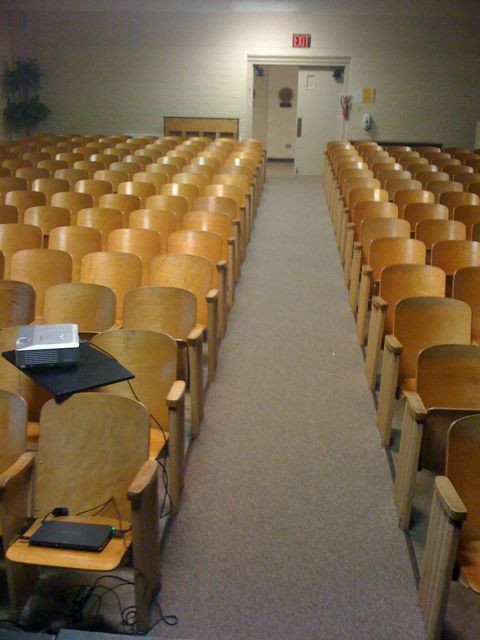 They had an old fashion auditorium (pictured below). You don’t see too many of these anymore. Back at the hotel early trying to get some writing in.